Dierks Bentley (Feat. Jamey Johnson & Miranda Lambert) - "Bad Angel"
Song interpretation by Larry Molfe. Song intended for private/scholarly use only. Like writing a song on music row, it sometimes takes more than one contributor to create an awesome story, for you our dear readers. When this happens, we write under Roughstock Staff. 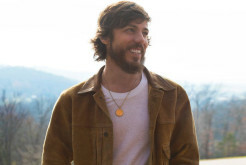 Chris Janson - "Good Vibes"